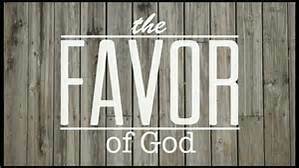 It is the favor of God in one’s life that our enemy does not overtake us, and by the hand of God do we obtain anything in this life. (Psalm 44:1-3). We have heard with our ears, O God, our fathers have told us, what work thou didst in their days, in the times of old. How thou didst drive out the heathen with thy hand, and plantedst them; how thou didst afflict the people, and cast them out. For they got not the land in possession by their own sword, neither did their own arm save them: but thy right hand, and thine arm, and the light of thy countenance, because thou hadst a favour unto them. God does not take lightly when someone chooses to turn from Him and serve other gods to forsake His laws set to protect those who follow Him. He turned from those who walked after their evil imaginations, even going as far as to not show His favor any longer to such a people. (Jeremiah 16:10-13). The following is a psalm and song at the dedication of the house of David, and in it we learn that in Gods favor is life and it is He who causes us to stand strong! (Psalm 30:5-10). For his anger endureth but a moment; in his favour is life: weeping may endure for a night, but joy cometh in the morning. And in my prosperity I said, I shall never be moved. Lord, by thy favour thou hast made my mountain to stand strong: thou didst hide thy face, and I was troubled. I cried to thee, O Lord; and unto the Lord I made supplication. What profit is there in my blood, when I go down to the pit? Shall the dust praise thee? shall it declare thy truth? Hear, O Lord, and have mercy upon me: Lord, be thou my helper.